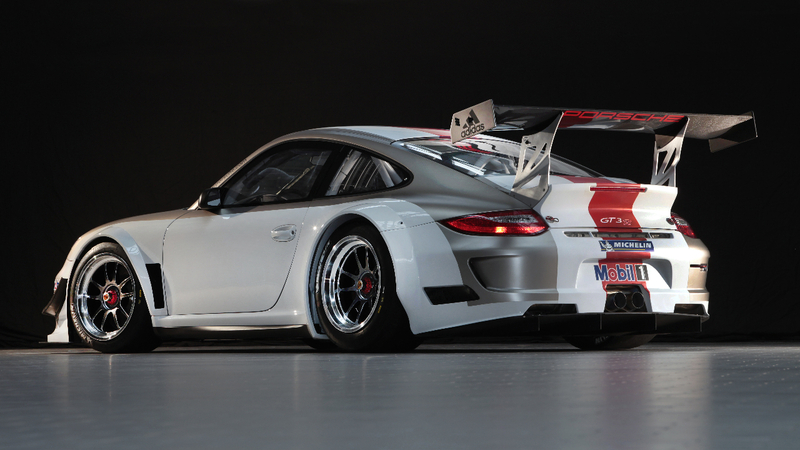 The final 997 racers are released to customers, the GT3 is the "midrange" Motorsport offering sitting between the Cup and the RSR. 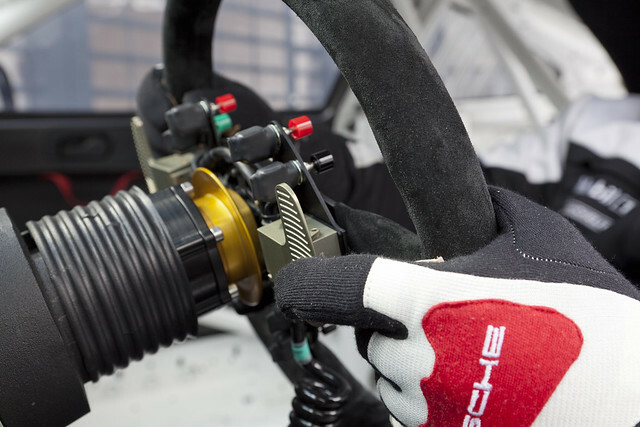 Finally for Porsche The 997 GT3 R features paddle shifters with "autoblip", racing ABS and traction control bringing it more in line with Ferrari's 458 racers. Price will be Euro 304,500 plus applicable taxes. 2011 models will be able to be upgraded to 2012 spec for a relatively reasonable Euro 43100. Stuttgart. Amongst racing customers all over the world, the Porsche 911 GT3 R is extremely popular for its forgiving handling and basic speed. And it is exactly in this direction that the improvements for the 2012 model year have been targeted. The engine output has increased by 20 hp to now deliver 500 hp (368 kW). Paddle-shifts on the steering wheel ensure gear changes are even quicker and simpler, making it easier for pilots to concentrate on braking. Moreover, the transmission electronics, featuring an automatic throttle blip control, make it almost impossible to miss a gear and over-rev the engine. A softer anti-roll bar on the front axle reduces understeer. Awesome! This is a proper modern Cup!